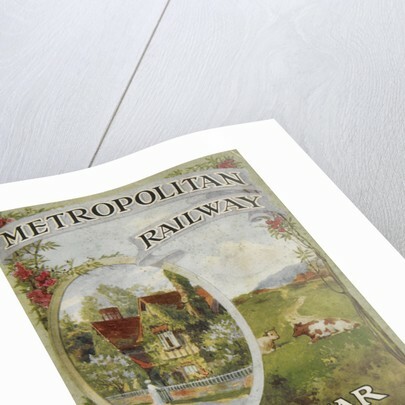 The cover of a leaflet promoting the use of the metroplitan railway. 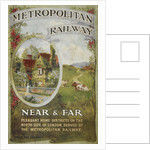 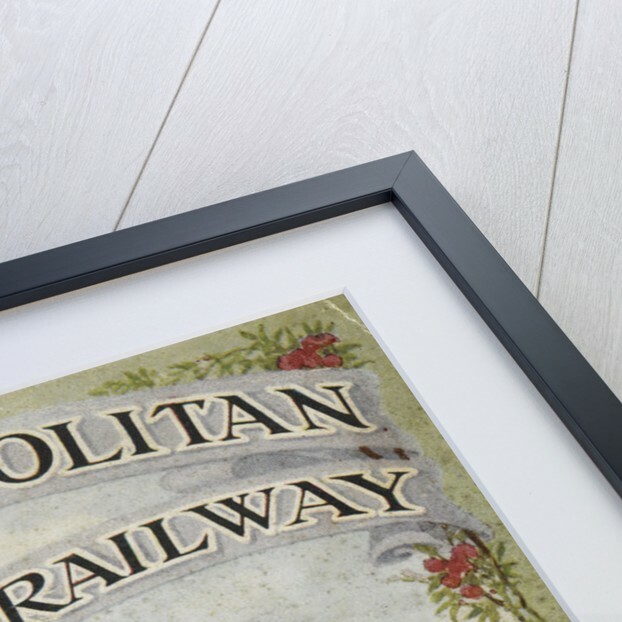 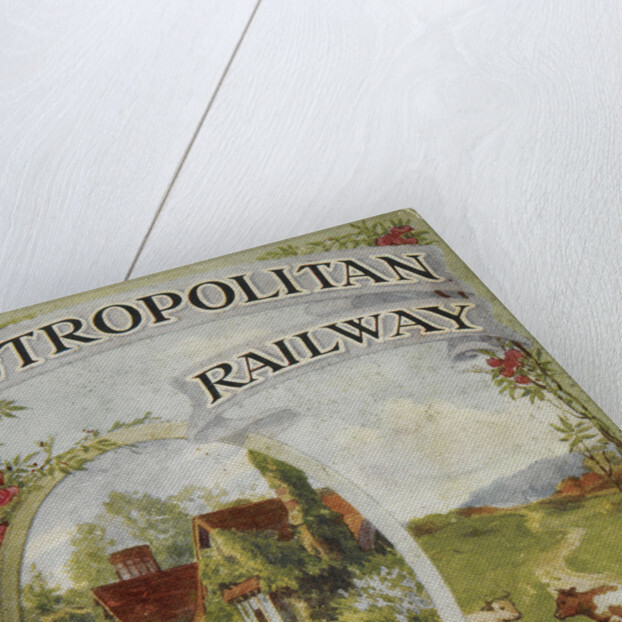 The text reads: Metropolitan railway: Near and far. 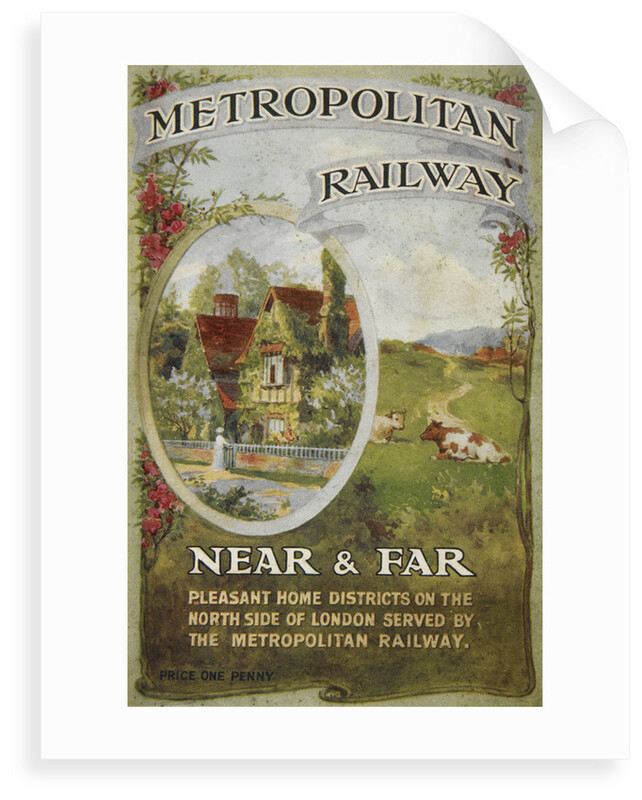 Pleasant home districts on the north side of London served by the Metropolitan railway.